The 8-year-old mark is another significant milestone for little girls and parents alike, because there’s another leveling up in terms of the toys and gifts that can help further their development. It gets even more challenging to pick the right toy at this stage, because they already have clearer preferences about what interests them and what they like or do not like. It’s tempting to just pick the first gadget, doll, puzzle, book, fashion accessory, or art kit that you see, but there is definitely no guarantee that your 8-year-old will like playing with it. If you want to be sure you’ll end up picking that they’d truly enjoy, you have to be more specific and really look at what suits this age range. To help you out, we have come up with our own list of gift ideas, based on well-researched criteria. Charm bracelets are very popular among 8-year-old girls because they usually have this together with their group of friends. 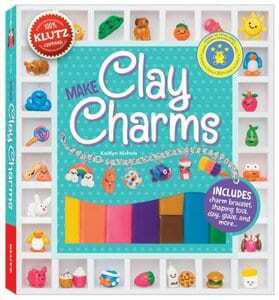 With the Make Clay Charms Craft Kit from Klutz, you’re taking it one level higher because this time, she gets to make her own charms. The kit has enough materials to make a total of 35 charms, giving her a lot of room for creativity and for thinking about her own designs. What's Great About It: This comes with a 60-page instructional book that gives clear and helpful instructions, so your little girl won’t have a hard time making her own charms. This kit is also as complete as kits can be, with a charm bracelet, charm loops, jump rings, 9 colors of clay, and other needed accessories. 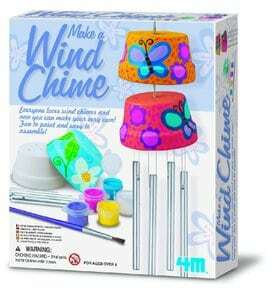 A unique arts and crafts kit from 4M, the Make a Wind Chime Kit helps your 8-year-old do just that – make her very own wind chimes. The kit comes complete with all the materials that she needs, including 2 terra cotta pots, chime rods, a paint strip and brush, a line, and a cord. What's Great About It: This is a great project for your 8-year-old to work on because wind chimes are actually quite useful and wonderful to have at home. It’s good to see the ownership and pride that she will feel after having accomplished something like this, and she can even hang it in her own bedroom. 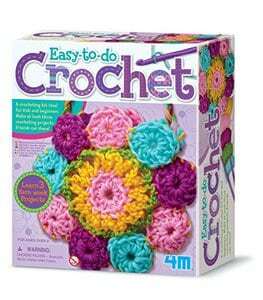 4M’s Crochet Art Kit is the perfect introductory kit that will expose your little girl to the wonderful world of crocheting. This is a great hobby to pick up but not exactly the easiest to teach, and that’s precisely why this kit is a pretty cool one to give: it makes crochet easier than ever. With this kit, your 8-year-old gets enough materials (yarn, crochet hooks, and a plastic needle) to get started with her crochet projects. What's Great About It: This comes with a 14-page instruction book to guide our little one along, and contains enough materials to create 3 of the following projects, depending on what she wants: handbag, coaster, place mat, or belt. 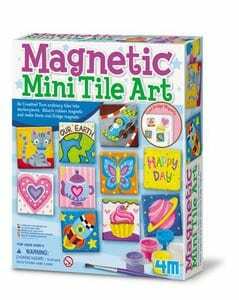 This Magnetic Mini Tile Art set from 4M is a unique craft set that will really push your little one’s creativity to greater heights. Basically, she will get 10 tiles (sized 2×2 inches) that she can paint and design herself. Aside from the tiles, she will also get magnets, a brush, and a paint strip. What's Great About It: The mini tile art that your 8-year-old will come up can be transformed into beautiful magnets that can adorn your fridge, locker door, or any other metal surface you see fit. 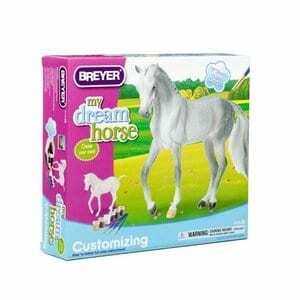 If your little girl is interested in everything related to horses, giving her a customizable My Dream Horse from Breyer is definitely a good idea. The kit contains an unpainted Arabian model with all the realistic details and contours that you would find in an actual horse. She then gets to work with 3 brushes and 6 types of paint – coming up with her own unique design. Detailed instructions are also included to make it easier. What's Great About It: This kit includes real mohair, so your little girl can really come up with a realistic model that she can play with and even display with pride. The fact that she herself did the design, as compared to having a store-bought toy horse that’s already complete, makes this toy extra special. 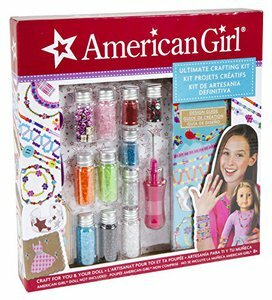 True to its name, the Ultimate Crafting Kit by American Girl has everything your 8-year-old will ever need to make crafts that will show her artistic side and unique personality. With this set, your little one can make jewelry and all sorts of fun trinkets both for herself and her American Girl doll. That’s because it has all the essential materials – from mini clothespins and iridescent donut beads to pearls, twine, and mini bottles. What's Great About It: This comes with an inspirational design guide that’s packed with fun crafting ideas, so your little one will have something to help her make the trinkets. 8-year-old girls value their friendships and connections more than ever, and this is why this Friend 4 Ever Jewelry kit by ALEX Toys is ideal. They can use this kit to make do-it-yourself bracelets for the whole group, sealing their friendship. The kit includes 22 different colors of embroidery floss, 4 color-coded looms, a beading needle, some beads, and a carrying case to put everything together. 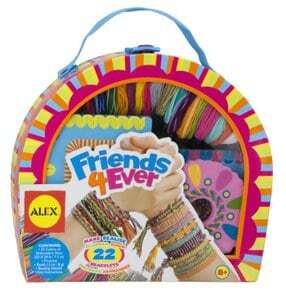 What's Great About It: This kit has enough material to make not just 1 but 22 friendship bracelets, so it’s really great for groups. It’s also a good idea to bring this out during parties and playdates, because there would be enough for everybody to make. 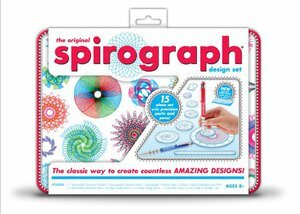 A modern version of the 1965 design, this Spirograph Design Tin Set by Kahootz is even better than the original one. With the help of its signature interlocking spiral wheels and gears, your 8-year-old can spend hours making beautiful designs. Aside from all the accessories you need, this kit comes complete with a storage tray that has a snap-in design. What's Great About It: This one retains the unique mechanism of the original version, so it’s a bit nostalgic in a way – a great skill to pass on to the next generation. The kit also comes with a 10-page instructional guidebook, so it won’t be long before your 8-year-old gets the hang of it. At the age of 8, little girls typically show an increased interest for markers and other writing materials and stationery, and they use it to either write in their journals or make all kinds of artwork and designs. 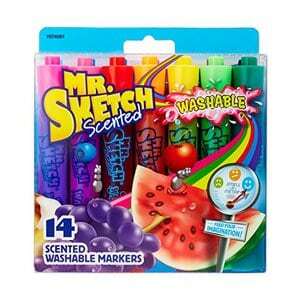 These Scented Markers by Mr. Sketch takes this interest a notch higher, because the markers come in yummy and fruity scents – including apple, cherry, raspberry, and others. What's Great About It: Your 8-year-old will definitely find this unique gift memorable because of the fact that the markers are specially scented. That said, this is AP certified nontoxic and made with quality and compliance in mind. With the 120-Piece Deluxe Art Set from Darice, your little artist will have all the art materials that she will ever need to start creating her beautiful masterpieces. 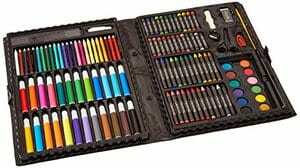 This includes practically everything – from watercolors and pastels to colored pencils and markers. It also includes important accessories like a sharpener, paintbrush, sponge, ruler, and many others. What's Great About It: The variety of materials that you get in just one kit is remarkable, and the best part of it is that you get all of these art materials in one convenient carrying case – one your little girl can easily snap shut and bring with her wherever she goes. With a frame that’s made from high-grade steel and a design that suits your adventure-seeking 8-year-old, the Angel Girls’ Bike by Razor is perfect for all her coming excursions. There are many places that are best reached using two wheels, and your little girl can use this bike to do just that. It will keep her physically fit, practice her coordination and balance, and help her explore all kinds of places while she’s at it. What's Great About It: This may be suited for an 8-year-old, but that doesn’t mean the construction is flimsy. 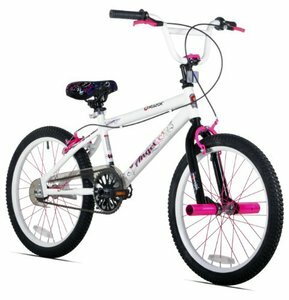 In fact, this bike is actually pretty tough and durable – perfect for her age and good enough to help her master biking before she moves on to a more advanced one with gears. 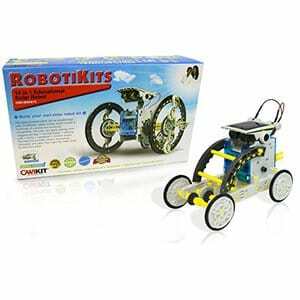 If you have a little one that’s interested in building and construction toys, you might as well go all out and giver her this brilliant 14-in-1 Solar Robot from OWI. Completely powered by solar energy, this is a robot kit that can be used to make 14 different robot modes, and to come up with all that will really test her cognitive skills and ability to follow instructions. It’s a great building kit that will keep her interested and engaged. What's Great About It: The fact that it’s 14-in-1 ensures that your little girl doesn’t get bored, challenging her sufficiently. This also means that it’s really effective in boosting her imagination and creativity. Nerf just took blasting to a whole new level with the Rebelle Agent Bow Blaster, which is actually quite perfect for your 8-year-old. 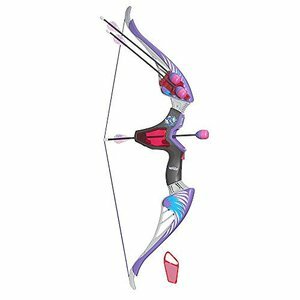 This is an awesome bow-and-arrow toy, but you get safe, foam-tipped arrows that can be blasted up to distances as far as 85 feet. This is a good gift because archery itself is a great sport that enhances hand-eye coordination, focus, arm strength, as well as concentration – plus it’s really REALLY fun. What's Great About It: This blaster really works like a real bow and arrow so your 8-year-old can use it to practice the motions. It comes with 3 message darts, a detachable quiver, as well as a decoder that reveals secret messages. All of these can be stored on the bow, so storage and clean-up is not a problem. If it’s not through walking, running, or biking, your little explorer can also go on adventures on board A Kick Scooter by Razor. It’s a lot easier to store compared to a bicycle, and it’s also quite effective in developing certain muscle groups and various motor skills, balance, and coordination. This can also support up to 143 pounds, so your child can still use this even as she grows older. What's Great About It: This is a pretty solid scooter that’s made to last. The materials are durable, given that the body is made from aircraft-grade aluminum and you also get a shock absorbing system. 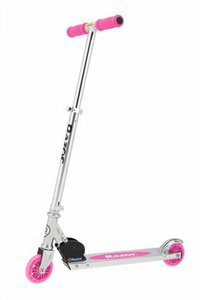 With this one, Razor has ensured that you only get a high quality scooter that you can trust your little girl with. 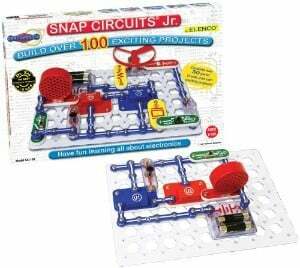 Learning about something as complicated as electricity has never been easier, thanks to Snap Circuits Jr. Electronic Discovery Kit from Elenco. This building kit has 30 snap-together parts that require no tools at all, but give your little one hands-on experience in working with electrical circuits. The kit also comes with easy-to-follow instructions for over 100 projects, so it really makes complicated electronic concepts easier to grasp. What's Great About It: This was really designed to simplify difficult electronic concepts for little minds and little hands, and it does so wonderfully. The projects that your 8-year-old can make with this include working models of a siren, a flashing light, and so much more. As far as building kits are concerned, LEGO has always led the pack with really fun and interesting projects. This Bus Building Kit is not exception, because with it, your 8-year-old gets to simulate and imagine life under the spotlight. What's Great About It: Just like other LEGO sets, this one comes with pretty amazing details that make everything come to life. It even has a DJ booth! 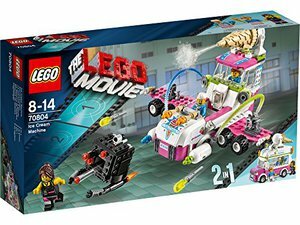 This particular set recreates the ice cream machine from the LEGO movie, so it’s a really great one to give especially if your 8-year-old has watched the movie and loves it. 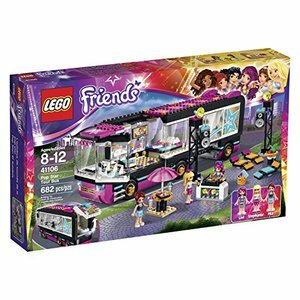 The set includes 3 mini figures (Ice Cream Jo, Ice Cream Mike, Cardio Carrie), a flying ice cream machine, and many other accessories that your little girl will surely enjoy. What's Great About It: Aside from the problem solving and construction skills that this set help improve for your child, it’s amazing to see how much they’ve remained true to the details of the movie and translated it to a LEGO set. Science need not be boring, especially if your 8-year-old has the Nancy B’s Science Club Microscope and Activity Journal by Educational Insights. This is basically a 30x-400x light and dissecting microscope that works just like the microscopes your child would be working with in school. She will also get a 22-page activity journal and a 26-piece scientific tool set to make it even more fun. 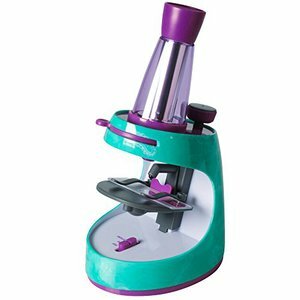 What's Great About It: A great complementary toy for your 8-year-old’s science lessons, This set is as fun and as complete as microscope sets can go, and it even includes laboratory tools like the petri dish. Your 8-year-old girl would definitely love working with secret codes and messages, and this is the perfect toy to help her do it. The Girls Only! 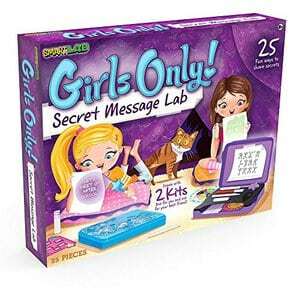 Secret Message Lab from SmartLab Toys keeps your 8-year-old’s secrets safe, thanks to the wonders of invisible ink! What's Great About It: There’s enough in this kit for two girls to share, so your 8-year-old can use this together with her closest friend. It’s a great way to teach the science of invisible ink but also the value of communication and creating, protecting, and sharing messages. 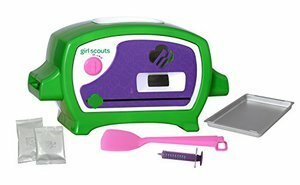 With her very own Girl Scouts Cookie Oven from Wicked Cool Toys, your little girl will be able to bake her own cookies under 5 minutes. It even comes with a ready-to-bake cookie mix to get her started. What's Great About It: This is not just a mini oven, it’s an entire baking set. And that means it comes with all the utensils that your little girl need, as well as a baking pan, a measuring stool, and many others. SO this is a good tool to use in teaching your little one the art of baking. Given that there are so many toys available in the market today, we had to really come up with a priority list of the criteria that absolutely have to be there. A look at the developmental milestones that should be present in 8-year-olds is a good first step, because it sets the priorities straight. Aside from that, we also had to look at the durability and quality of the toys chosen, considering the reputation of the brand and company that made it. Looking at the structural integrity of the toys as well as the safety of the materials used is also an important step that allowed us to narrow down the toys even more. We read through a lot of feedback from the parents who are in the same situation, paying attention to the pros and cons that they have discovered with each of the toys – things you won’t find in a manufacturer’s advertisement. With all of these factors in mind, we have come up with a solid list of 20 toys that your 8-year-old will surely enjoy. The first half of the list focuses on toys that target your child’s creativity – do-it-yourself kits and sets that help them make arts and crafts creations. The next 4 toys are more physical and focus on their motor skills development, while the other 4 are more scientific and educational. Aside from this, we’ve also included toys that help them in other aspects of their development. Once your child reaches the age of 8, her physical, intellectual, cognitive, social, and emotional skills will level up and continue to improve as time passes and she spends more time in school. Skills for problem-solving and critical thinking for instance are more highly-developed at this age, so this is the stage when they actually enjoy it if you give them more challenges to work on – like having to build something or create something artistic from the most basic of materials. Because of their continuous interaction with classmates and friends who have the same age and interests, 8-year-old girls also tend to enjoy group activities and those that require teamwork. While they still very much enjoy solving problems independently, they also continue to build their social skills and tend to value friendships even more. That means they also value cooperative goal setting, interactive games, and more elaborate imaginative play with so many more details. They are much more confident about what they an accomplish using their bodies, also because they have better control over their muscle movements, dexterity, and flexibility. Because of this, your 8-year-old girl will be game for more physically demanding activities and sports, and she will actually enjoy having to handle tougher challenges. She will also enjoy playing with many more kids, in the spirit of teamwork and even friendly competition. The more knowledge she learns in school, the more curious your 8-year-old will be as well. That means she will love to experiment and discover new things to expand her knowledge. She will also have an increased interest for new patterns, colors, designs, textures, and other things that can she can wrap her imagination in. The idea of creating things and experimenting with different designs and patterns also appeals to her. Applied academically, your 8-year-old is already able to understand multiple perspectives and points of view, making her more teachable. She is also more self-aware so she will be able to recognize her own strengths and weaknesses. Her focus and attention will be easier to hold, and she’s more willing to accept structure and social rules as compared to free-form play. Knowing all this, it’s important to get your 8-year-old toys that will help her express what she has inside, and effectively grow into the wonderful person she’s meant to be. We know it’s not as simple as it seems, but this well-researched list will help you make the right choice.